TORONTO, January 22, 2019 – Beanfield Metroconnect, a local and independent fibre-optic telecom, has donated $10,000 to the critical at-risk youth program, Sistema Toronto. 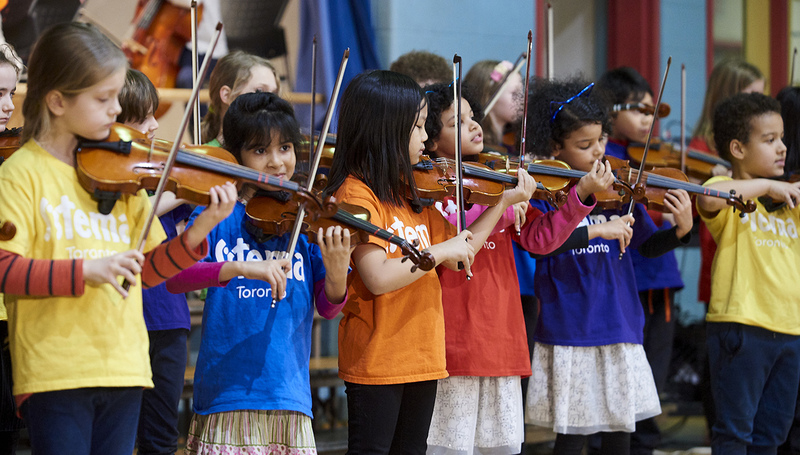 With the Government of Ontario’s decision to pull $500,000 in essential funding promised to Sistema Toronto, Beanfield’s donation will go towards ensuring youth in high-risk neighbourhoods stay on the right track through music education. Sistema’s life-changing impact is a remarkable one. Students who take part in their programs are 25 percent more likely to achieve high scores on standardized testing than students not in Sistema, placing them on a path to better education, a reduction in poverty and an escape from youth violence. It’s no wonder Beanfield Metroconnect, a local telecom with a conscience, and focus on innovation and social responsibility, felt compelled to donate to this most worthy cause. With additional funding cuts looming, this time to Sistema’s nutritional program, Beanfield’s donation will help alleviate the impact of that loss and more. Half of their $10,000 will go towards providing students with instruments to learn on, expert teaching staff, daily snacks, and support workers. The remainder of their contribution will provide t-shirts for students to wear during performances. Toronto, as we’re still recovering from the funding cut, we experienced in the fall and doing all we can to keep the commitment we made to the 275 kids we work with. We’re so glad Beanfield shares our belief in the importance of supporting vulnerable communities and can’t thank them enough for their generosity,” says Christie Gray, Executive Director, Sistema Toronto.